The subject of the study was minute gold-plated glass particles which are invisible to the human eye. These glass particles measure 200 nanometres, meaning that they have a diameter of around one-hundredth of a human hair. At 15 to 30 nanometres, the gold plating is even thinner. The particle technologists at the Cluster of Excellence ‘Engineering of Advanced Materials’ at FAU can create these particles in a laboratory – for instance in the team of Prof. Dr. Robin Klupp Taylor, Dr. Björn Braunschweig and Prof. Dr. Wolfgang Peukert at the Institute of Particle Technology (IPT). To establish processes which can be used to produce these gold nano-shells with a very particular optical quality more or less in series, it is first necessary to develop procedures which can be used to observe and document all changes to the particle boundary during the growth process. Spectroscopic investigations make use of the fact that electromagnetic radiation interacts with substances or molecules depending on energy. They are standard procedures for analysing material and processes but investigations on hidden boundaries – such as those of particles in a solution – are extremely complex as many optical methods which would usually be used to access boundaries do not, for example, have the required sensitivity for the thin layers of atoms or molecules on the boundary. For this reason, the interaction of these atoms with light is extremely weak. The researchers used ultra-short laser impulses of infrared light during the coating process and in different stages of growth. The frequency of this infrared light doubles only on the boundary, whereby two photons of the infrared light combine to one photon of blue light: The human eye simply sees blue light instead of red light. The way in which this change happens and how efficient it is provides information about the surface of the gold layer – how it forms, how it grows, whether it is rough or smooth. The researchers have determined that the nature of the nano-shell varies extremely during growth – as do its optical properties. According to the FAU researchers’ observations, the optical effect of this ‘blue-red shift’ always achieves the highest level of intensity shortly before the shell closes at a certain location. The researchers attribute this to the fact that strong electric fields form between the shell’s isolated ‘gold islands’ which then disappear again when the gold islands melt to form a closed shell. 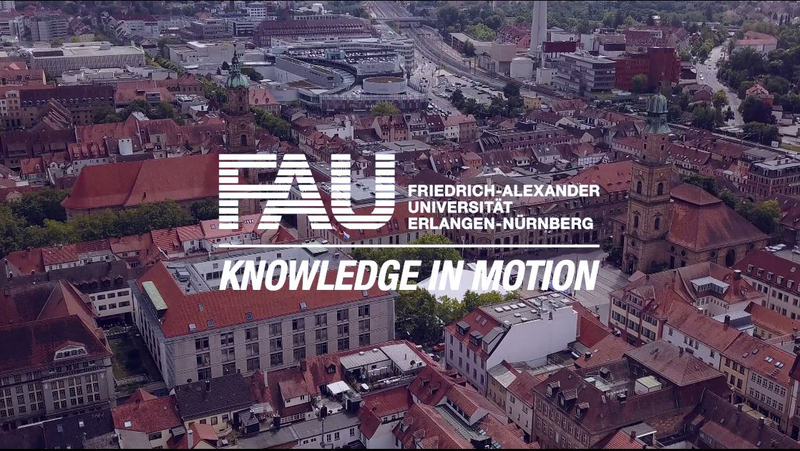 Furthermore, it is also crucial that the FAU researchers have succeeded in carrying out these analyses in situ – i.e. not only after it has formed, such as under a scanning electron microscope, but whilst the nano-shell of particles is growing in the solution. With these findings, the growth of the gold shell can be controlled and designed in a targeted way which the researchers expect will give them completely new possibilities for the creation and control of the surface structures – also for other metals. This would enable other applications such as new pigments, catalysts or light amplifiers for photovoltaic applications to be produced and optimised in the future.